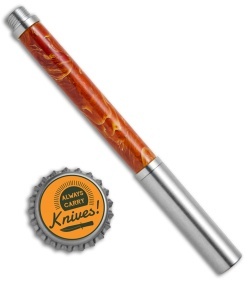 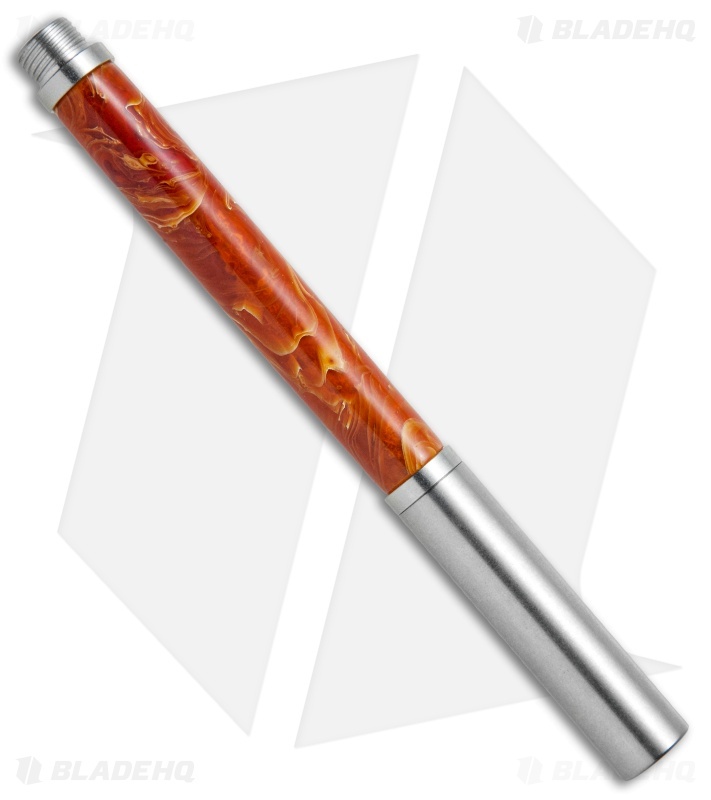 This custom pen from Penrod Garage features a fire agate body and satin finished stainless steel hardware with a screw cap. 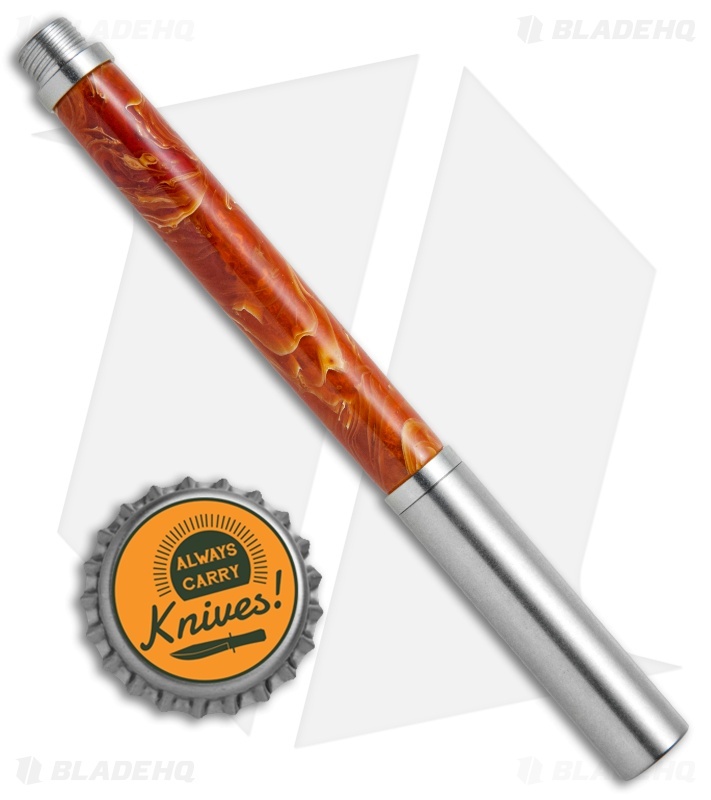 Bridger Penrod is a young custom tool maker who specializes in creating handmade pens and other EDC items. 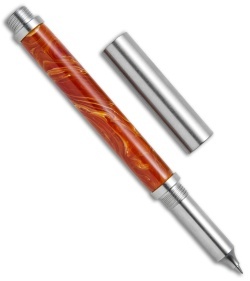 This model is equipped with a screw cap and a Schneider ink cartridge. 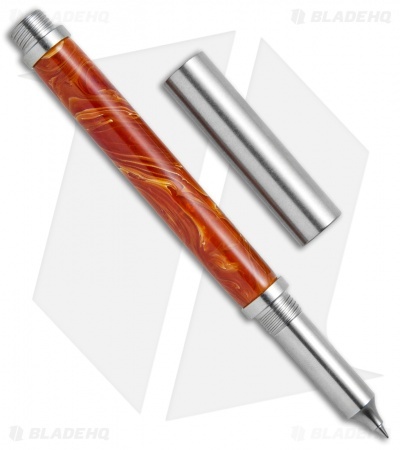 Stainless steel screw cap offers snug and secure pen closure. Fire agate handle provides a classic look. Comes equipped with a Schneider ink cartridge.